The Society for Canadian Women in Science and Technology (SCWIST) in association with Science World will be hosting their 25th annual Wonder Women Networking Evening for women in STEM fields. 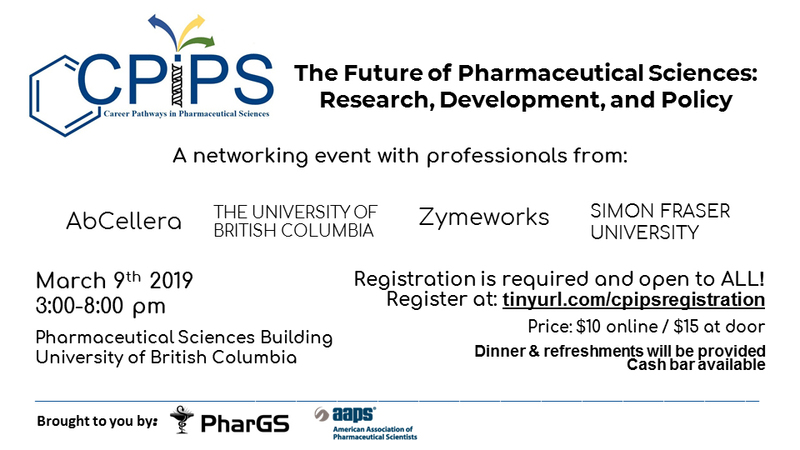 Networking event for undergrads, grads and postdocs on March 9th from 3:00-8:00 pm in Pharmaceutical Sciences Building, UBC. Cost $10 online or $15 at the door. CPiPS2019_Invitation, flyer, and CPiPS_Speaker_Bios. Teen Tuesday Events – opportunity to be a guest exhibitor to host a hands on activity/demonstration or to be presenter. Theme of upcoming event is “Modelling and Visualizing Motion”. Come back to see future topics. Contact Parker McLean, Youth Program Specialist, detail Science World Outreach Program. Ocean Matters Events – Free lecture series, registration required.